Only 930 in stock. Additional quantities will deliver at a later date. 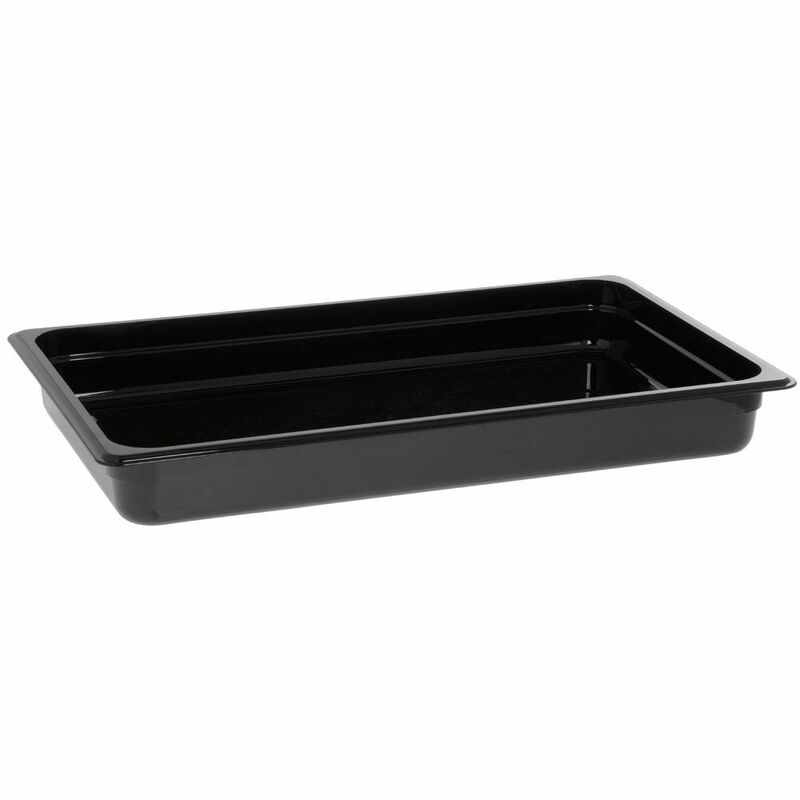 This full size food pan is the perfect economical option for cold storage. The gastronorm container has a virtually unbreakable polycarbonate construction that will stand strong against daily commercial use. 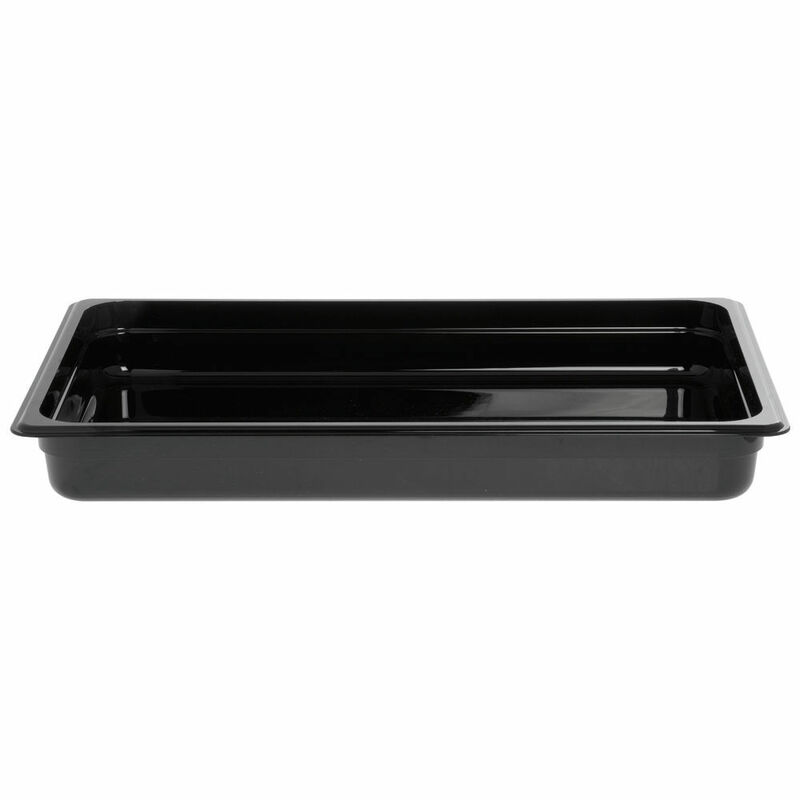 This full size food pan features a black color that shows less wear and makes products stand out. The non-stick smooth interior promotes trouble-free cleaning, while the lightweight design allows easy storing, transporting and serving. This full size food pan has a temperature range between -40°F to 210°F and is compatible with the Hubert® brand clear plastic covers, which are sold separately. These food pan lids are perfect for school cafeterias, restaurants and hotels. 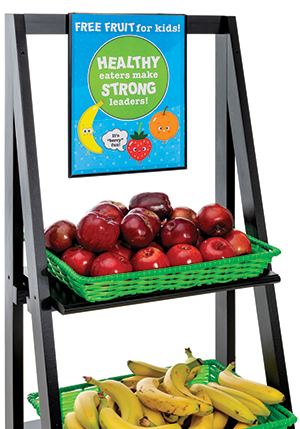 The top reduces air flow to increase the shelf life of product. This food pan cover has a polypropylene assembly to provide many years of reliable use. The NSF closure has a safe temperature range of 20°F to 190°F and is dishwasher safe for easy cleaning. These food pan tops feature a solid build with a strong handle for quick removal.